Well, the weather has finally warmed up and we were able to spend some time outside today. We took advantage of the beautiful day and got a few things ready for the campsite. One item on of our growing to-do list was toy organization and storage. We happily crossed that item off of our list today. 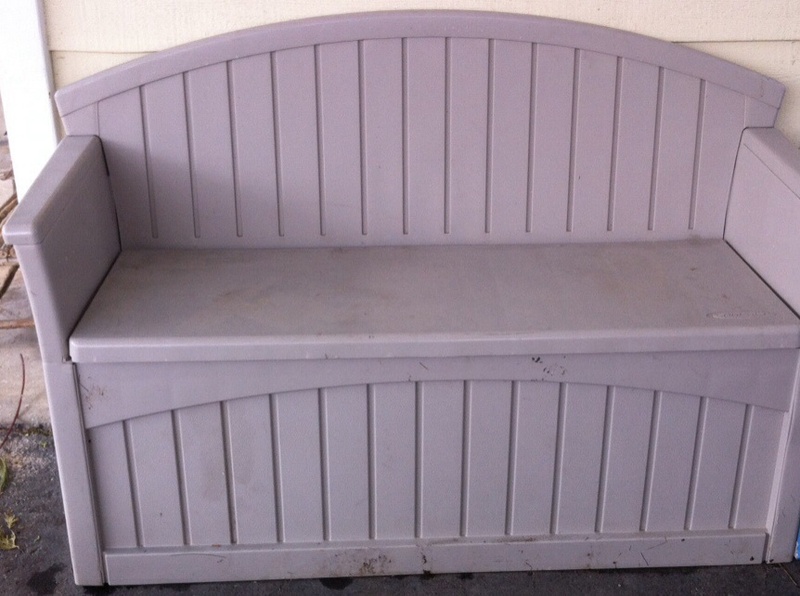 A few years ago I purchased this outdoor bench from a local hardware store. In the past, we have used it’s storage capacity for bike helmets, soccer gear and chalk. It was very under utilized. 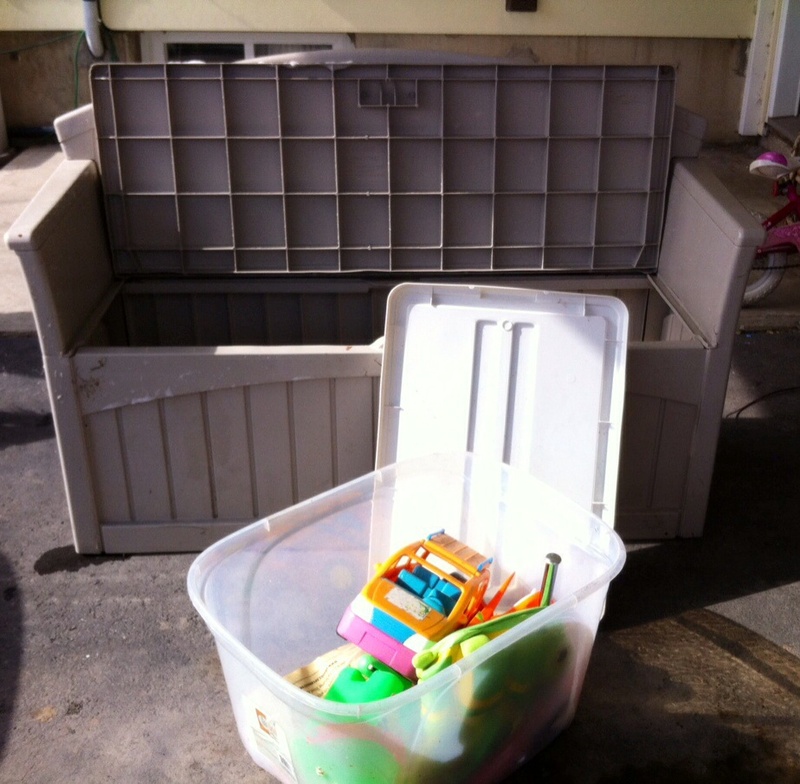 When we were camping, we have used storage bins or totes to contain the toys, which worked fine as they were light-weight and fit in our travel trailer’s outdoor storage compartments. This year we are staying at one campsite from May till October, so we decided on the bench for a semi-permanent toy storage solution. So, we cleaned the bench and then we emptied all of the toy bins. We sorted the toys and then placed all of the toys into our bench. Once filled, my husband and I tested the weight of it – still light even when filled. 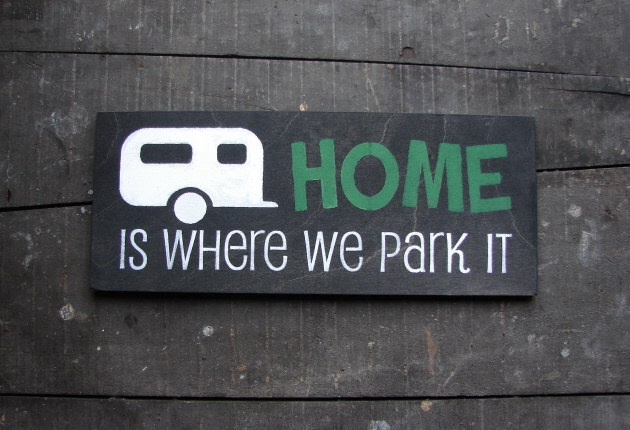 It will be easy for us to lift into our truck and drive it to the campsite. I think this storage solution will meet our needs. 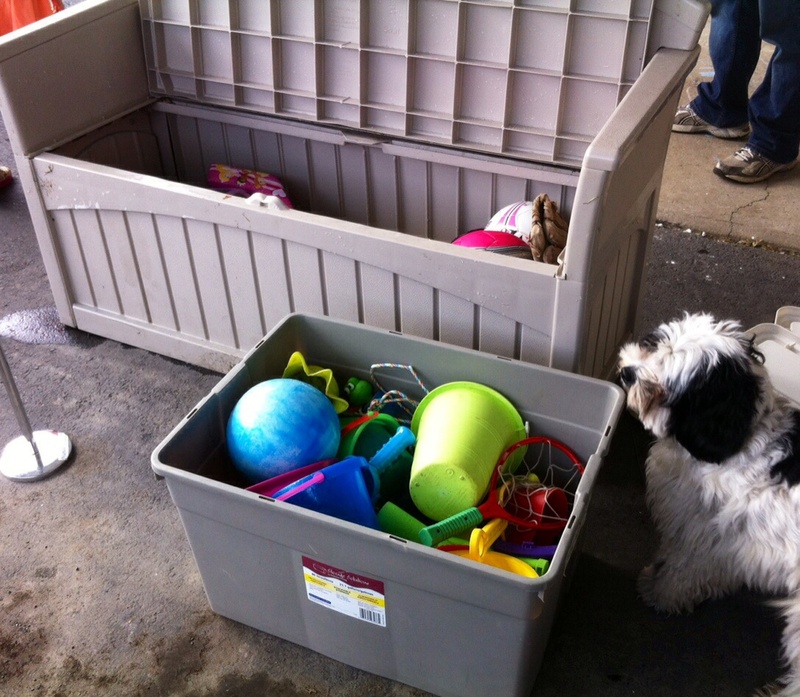 Do you have a particular way that you organize outdoor toys? This entry was posted in Trailer Organization, Modifications & Storage Solutions and tagged Campground, Camping, Children, Kids, Outdoor, outdoor bench, Play, RV, Storage, Storage Bench, storage bins, Storage Solution, toy storage solution, Toys, Travel Trailer. Bookmark the permalink.